A late and short Monday morning Rander post here. 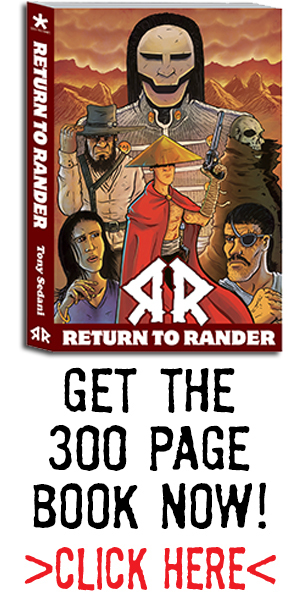 Still working on the last pages of the new Return to Rander graphic novel. Guess who’s back? As the days go on, the more pages I draw. I am in the midst of finishing content for the upcoming release of the book that collects all the Return to Rander content thus far! Here is a few panels!